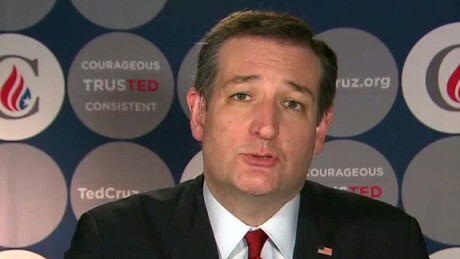 (CNN) Ted Cruz would have seriously considered dropping out of the Republican presidential race had he lost his home state of Texas on Super Tuesday, his campaign’s chief strategist told donors Wednesday. In a detailed 30-minute call with several dozen donors, Jason Johnson said that Cruz himself was comfortable stepping aside if he had lost Texas. Cruz won the state handily, although some polls showed a tighter race headed into Election Day. Cruz went into the year anticipating a strong showing in the Southern states on Super Tuesday, but only came away with wins in Texas, Oklahoma and Alaska, and trails Trump by more than 100 delegates. The discussion of Cruz leaving the race comes as Republicans continue to fight over who is best poised to take on Trump. Cruz and Florida Sen. Marco Rubio have both outlined paths to victory to their supporters, as has Ohio Gov. John Kasich. Cruz plans to offer an “olive branch” in Thursday night’s Republican debate to voters currently not supporting him, Johnson told donors, part of what he pitched as an aggressive, intentional effort to make Cruz more attractive to voters who are unfriendly to the Texas firebrand’s style. The campaign is eager for Rubio to lose Florida on March 15. But it is also bullish on Cruz’s chances in Kansas, Louisiana, Idaho, Michigan, and surprisingly, in Johnson’s eyes, Maine. Two states where Johnson was skeptical of Cruz’s chances: Mississippi, which he called a “big question mark” and labeled it more “populist than conservative,” and Hawaii.